I love this view. 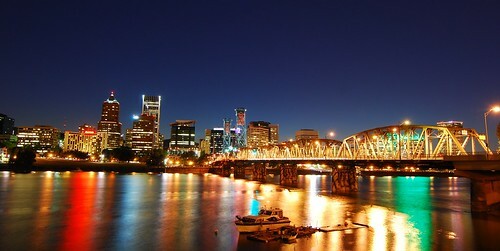 The way the river soaks up the light from the buildings and the bridge is incredible. It's really quite stunning in person. Portland has so much charm, rain or shine. Check this one out in Lightbox, it doesn't look right unless blown up a bit!